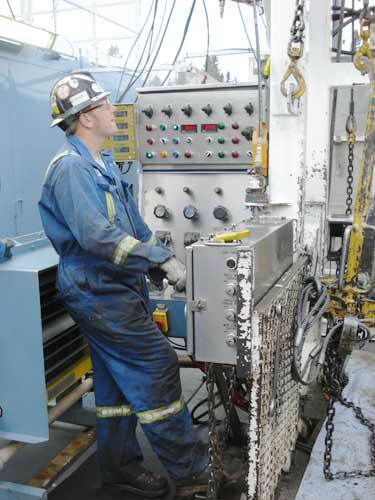 Safety is an integral part of the business operations of CWC Ironhand Drilling. Prevention of all incidents that may cause bodily harm, property loss or an adverse effect on the environment is of highest importance to the company. CWC Ironhand Drilling has implemented an HSE Management System to protect all personnel, sub-contractors, consultants, property, visitors and the public. The company's commitment to HSE is directed through the Corporate Safety Policy and the CWC Ironhand Drilling HSE Management System. All employees, consultants and sub-contractors of CWC Ironhand Drilling are responsible for ensuring the HSE requirements outlined in the HSE Management System are implemented and followed. Specific responsibilities of the company, management, supervisors, contractors and workers are listed in detail within the HSE Management System. No job is so urgent that it may be undertaken without identifying and controlling hazards and taking whatever precautions are necessary or proper under the circumstances to avoid operational risk and a preventable injury. Safe Work Procedures, Codes of Practice and Industry Recommended Practices are to be followed at all times when carrying out activities at all CWC Ironhand Drilling work sites. Cooperate with the company to protect the health, safety, and environment of all persons present at the worksite. CWC Ironhand Drilling will comply with all applicable Federal, Provincial, local laws and industry recognized safety practices and requires that all workers, contractors, consultants and other parties performing work for, or on behalf of, the company similarly comply. Copyright © 2019 - CWC Ironhand Drilling Calgary and Nisku, Alberta. All rights reserved.